Police and military clashed with suspected terrorists, including three suicide bombers, 22 people were killed in a third day of violence started on 29 March 2004 in the Uzbek capital during a sweep to round up Islamic militants. According to Associated Press, attacks continued on 30 March as well centered in the northern Yalangach neighborhood, near the official home of President Islam Karimov. The suicide bombings, carried out 30 minutes apart at a bus stop and the Children’s World store in Tashkent’s Old City, killed three police and a young child, in addition to the two female attackers, according to Uzbek officials. This was the first suicide bombings ever reported in the five Central Asian nations once ruled by the Soviet Union, which also include Kazakhstan, Kyrgyzstan, Tajikistan and Turkmenistan. Police stopped a small red car driven by 4 women and two alleged suicide female terrorists jumped out and detonated explosive-laden belts, killing themselves and three police officers and injuring five more policemen. Uzbekistan’s president Karimov, has blamed the violence on Islamic extremists, and said several arrests had been made, stating that backing for the attacks might have come from a banned radical group that has never before been linked to terrorist acts — Hizb ut-Tahrir, or the Party of Liberation. The American authorities believe bin Laden supplied most of the funding for setting up the IMU, with some Uzbek and Tajik officials saying the al Qaeda leader encouraged Yuldeshev and Namangani to organize such a group in the first place, which declared a jihad against the Uzbek government and sought to establish an Islamic state in Uzbekistan. In November 2000, Yuldosh and Namangani were both sentenced to death in absence for bombings that were conducted in Tashkent, Uzbekistan in February 1999. In 1952 and 53, a group of Palestinians led by Sheikh Taqi al-Din al-Nabahani founded the Islamic Liberation Party (Hizb al-Tahrir al-Islami). The party opened branches in Lebanon, Syria, Iraq, and later on in Germany, the UK and France. In the 1980s, it began operating in Turkey, India, and Pakistan, and in the 1990s widened its activity to Central Asia (mainly Uzbekistan) and the South Caucasus (primarily Dagestan). Although the party has not been involved in the popular uprising against Israeli rule in the West Bank and Gaza since 1967, it has a long history of terrorist and subversive activity elsewhere. In 1974, Dr. Salih Sirriyyah, a Palestinian member of the party led the Islamist group that carried out the first terrorist operation—against the military academy in Cairo—in the era of the Islamic revival in Egypt. Another former member and one of the founders of the Islamic Liberation Party, Sheikh As`ad Bayyoud al-Tamimi was the spiritual leader of one of the fractions of the Palestinian Islamic Jihad was quiet influential in the Gulf States. According to the Uzbek authorities, the Islamic Liberation Party was behind the attempt to assassinate Islam Karimov, the Uzbek president, in February 1999. The party has been involved in political subversion and terrorism against the Jordanian regime since the 1950s, and was since been outlawed in Jordan and many of it members arrested. Early this year, there was another wave of arrests among its members and supporters in Jordan and Syria. More recently, in February 2000, members of the party were involved in violent clashes with the Lebanese Armed Forces in northern Lebanon. The method adopted by Hizb ut-Tahrir to convey the da’wah is the Islamic Law derived from the shareah of the Messenger of Allah. Muslims nowadays live in Dar al-Kufr(The Disbelievers), because they are governed with laws other than the revelation of Allah, so their land resembles Mecca where the Messenger of Allah was first sent as a Messenger. Therefore, it is necessary to take the Messenger of Allah’s shareah as an example in conveying the da’wah. By studying the life of the Messenger of Allah in Mecca until he had managed to establish the Islamic State in Medina, it is evident that he went through clearly defined stages, in each of which he used to perform specific clear actions. So the Hizb-ut Tahrir took from that the method of action, the stages of its action and the deeds, which it has to perform during these stages in accordance with the deeds that the Messenger of Allah performed during the stages of his work. The Second Stage: The stage of interaction with the Islamic Ummah, to let the Ummah embrace and carry Islam, so that the Ummah takes it up as its issue, and thus works to establish it in the affairs of life. Central Asia in general and Uzbekistan within this region are on the “front line” of current Jihad preformed by factions of IMU. Uzbekistan has suffered from recurring incidents of terrorism aimed at establishing an Islamic state in the country. In February 1999, terrorists apparently targeting Uzbekistan’s President Islam Karimov set off at least 6 car-bomb explosions in Tashkent. Reports from Tashkent said that 13 to 15 people were killed (including two attackers) and 150 others were wounded. President Karimov reacted by outlawed all Islamist groups in Uzbekistan and instigating harsh measures and fierce suppression. Hundreds of suspects were arrested and jailed and many mosques went under strict state control. President Karimov and other senior Uzbek officials have frequently warned that Wahhabi Islamist radicals are amassing greater operational capability under the auspices of the Afghan Taliban, and that their ultimate goal is to destabilize neighboring states as well. Tajikistan, Kyrgyzstan and Uzbekistan all share a common enemy in the Afghan Wahhabi militants. In early August 2000, while the Mujahideen were in the process of preparation and transferring supplies and men to strategic locations in Uzbekistan, the Uzbekistan Government attacked them. Attacks took place in the Fargana Valley, an area regarded as the center of radical Islam, lasting several days. The Islamists attacks were predominantly on the Uzbekistan Government airplanes, helicopters, artillery and fighting vehicles. The authorities arrested hundreds as suspects involved in terror attacks and affiliation with Radical Islamic Groups. According to Islamic publications a struggle that should be launched against the rulers in the Arab and Muslim countries, by exposing them, taking them to task, acting to change them whenever they denied the rights of the Ummah or neglected to perform their duty towards her, or ignore its affairs, and whenever they disagreed with the rules of Islam, and acting also to remove their regimes so as to establish the Islamic rule in its place. Uzbekistan has fought a continuous battle against the Islamic Movement, which aims at establishing an Islamic state in the country. Uzbekistan, like most Central Asian countries is over 85% Muslim. The group’s members are thought to receive training and arms from neighboring Afghanistan. The Uzbek government claims that Afghanistan is a center of international terrorism, religious extremism and worldwide drug trafficking, and that developments there could spiral out of control and threaten neighboring countries. Uzbekistan has suffered from recurring incidents of terrorism aimed at establishing an Islamic state in the country. In July 2001, President Karimov attended as an observer a summit meeting of the “Shanghai Five”--China, Russia, Tajikistan, Kyrgyzstan, and Kazakhstan. The primary focus of the meeting was the danger of Islamist terrorists striking across the borders from Afghanistan. Uzbekistan has also sought assistance from Russia in countering the threat of Islamist extremism. On September 2001 the United States added the Uzbek Islamic movement to its list of foreign terrorist organizations. U.S. officials say that there is ample evidence that the group is connected with Osama bin Laden, wanted in the United States for terrorism. This move is in keeping with the U.S. effort to isolate international terrorist groups and supervise financial contributions to them, in particular organizations connected with bin Laden. The U.S. Congressional Research Service reported that the Uzbekistan Islamic Movement is part of Osama bin Laden’s al-Qaeda network. Within the framework of the Global War against terrorism led by the U.S, Uzbekistan faces an ongoing challenges in regard to the International Terrorism threats posed by the Radical Islamic Groups affiliated to Ben Laden’s fled operatives in parts of the Uzbek soil. During the anti-terrorism campaign, a large number of the IMU apparently decided to avoid combat. Some analysts suspect that many militants found refuge in Tajikistan, where the IMU reportedly maintained training and supply bases. Experts also suggest IMU sympathizers in the Uzbek Ferghana Valley could be providing shelter and supplies to fighters arriving from Afghanistan. Uzbekistan authorities are concerned about Islamic radicals, especially those affiliated with the Islamic Movement of Uzbekistan (IMU). Some regional analysts say the IMU is now regrouping after suffering substantial loses during the US-led offensive against terrorism in Afghanistan. US intelligence sources have estimated that the IMU is capable of recruiting and training a multinational force of up to 5,000 operatives within a year. The rapid expansion of opium and heroin trafficking out of Afghanistan indicates that Islamic radicals will have access to funds to pay and equip new recruits. The military campaign against Afghanistan is only the initial foray in a long, hard—sometimes-frustrating—counter-terrorism struggle. It would be a major mistake to target only Osama bin Laden and his organization; Islamic radicals all over the world and in Uzbekistan constitute a real and immediate danger to human civilization, and not only to that of the West. Uzbekistan faces a real and imminent threat from its own radical Islamist groups, no less than from bin Ladin’s al-Qaeda network. The same ideology that motivates bin Laden also fuels other Islamic terrorist organizations, such as Hizballah, Hamas, the Islamic Jihad, IMU and Hizb-ut-Tahrir — all of which share the same radical Islamic ideology, the establishment of the Khilafah, or “Allah”. The Jihad, according to his belief, was the vehicle that would establish the Khilafah (Islamic Rule) over the whole world. Yet, there is another kind of Islam, moderate, compaction and popular. In the city of Bukhara (500 kilometers or 300 miles west of Tashkent), the center of the Sufi Naqshbandi order in Central Asia, the Uzbek authorities are not opposing the spread of the Naqshbandi order and even support it. They are using Sufism as a distinctive counterweight to radical Islam groups within the IMU and the international Islamic party Hizb-ut-Tahrir, which campaigns for the unification of Muslims throughout the world into a single Khilafah (Islamic Rule) over the whole world. Sufism is a moderate mystical branch of Islam, rooted in the attempt to reach God through personal experience free of political aspirations. Enhanced cooperation between intelligence agencies in the immediate neighboring countries in central Asia, Arab countries in the Middle East and the U.S coincided with developing intelligence capabilities in gathering, assessment and operations. Monitoring the da’wah activities in specific communities and foreign Islamic clerics with connections to radical groups in Arab countries and the Middle East. A close touch with financial support flowing through Islamic charity founds motivated by radical ideology (See in the Palestinian case the” Union For Good” and its dozens affiliated charity found world wide) . If Hizb-ut-Tahrir is on the track of a real path towards radicalization, it should be on the top priority of the intelligence efforts not only in Uzbekistan. Arab and western intelligence services as well as Israel should take into their consideration this threat. Uzbekistan is located along the ancient trade route of the famous “Silk Road”. According to Uzbek officials, gunmen of the Islamic Movement of Uzbekistan (IMU) currently control channels for trafficking drugs from Afghanistan to Central Asian countries. Drug smuggling was used to finance the group that, in 1998, became known as the IMU. This connection with drug trafficking has continued, and the organization reportedly handles 70 percent of the heroin and opium traffic through Central Asia. Gunmen led by the IMU’s Namangani control the northern section of the drug traffic from Afghanistan. Apart from being drug traffickers, they also sell drugs in Kirghizia, Uzbekistan and Tajikistan. The main task of the international terrorists is to keep the drug traffic going, as the drug business has been and remains the main source of finance for international terrorism. In 1999 and 2000, the Kirghiz army conducted lengthy military operations against the gunmen of the Islamic Movement of Uzbekistan as they had invaded southern Kirghizia from Tajikistan. Involvement of terrorism, guerrilla warfare, and criminal activity of Islamist groups is widespread in Chechnya and the Caucasus, as it was in Bosnia, Albania and Kossovo. But, it would seem that this is a result of the political and economic culture in those regions, and connected to nationalist groups that carry out a struggle more nationalist than Islamic in nature. Uzbekistan should be committed to its primary goal of targeting and arresting the most significant drug traffickers. It is vital to continue working with law enforcement partners in other countries, to improve cooperative efforts against international drug smuggling. The test of success will come when the drug lords and the connection to terrorism will be stopped and arrested, tried and convicted, and sentenced. Uzbekistan is deeply concerned of the near future scenario of non-conventional terrorism taking Ben Laden’s interest as was discovered in Afghanistan, with a very high concern. 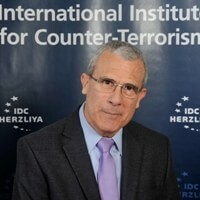 While it is the task of the international law enforcement to thwart terrorism at its source and intercept future terror attacks, it is acknowledged that this is a difficult task, with no guarantee of complete success. And yet, while it may not be possible to eradicate terrorism, we can lessen its effectiveness. 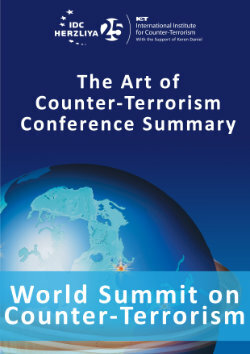 It is up to governments and communities affected by terrorism to minimize the success of terrorists in achieving their aims, by not allowing themselves to be pawns in the terrorists’ game. Education drives public opinion, which in turn drives national policy. Proper public education and public awareness—in conjunction with multiple levels of counter-terrorism policy, strategy and tactics—plays a major role in helping a country maintain the integrity, conviction and wisdom needed in order not to be swayed by the threats of terror. While all experts agree that terrorism is psychological warfare—and that its effectiveness is dependent upon the moral and the psychological damage it causes— national institutions have to develop and implement educational programs to counter the psychological impact of terrorism.